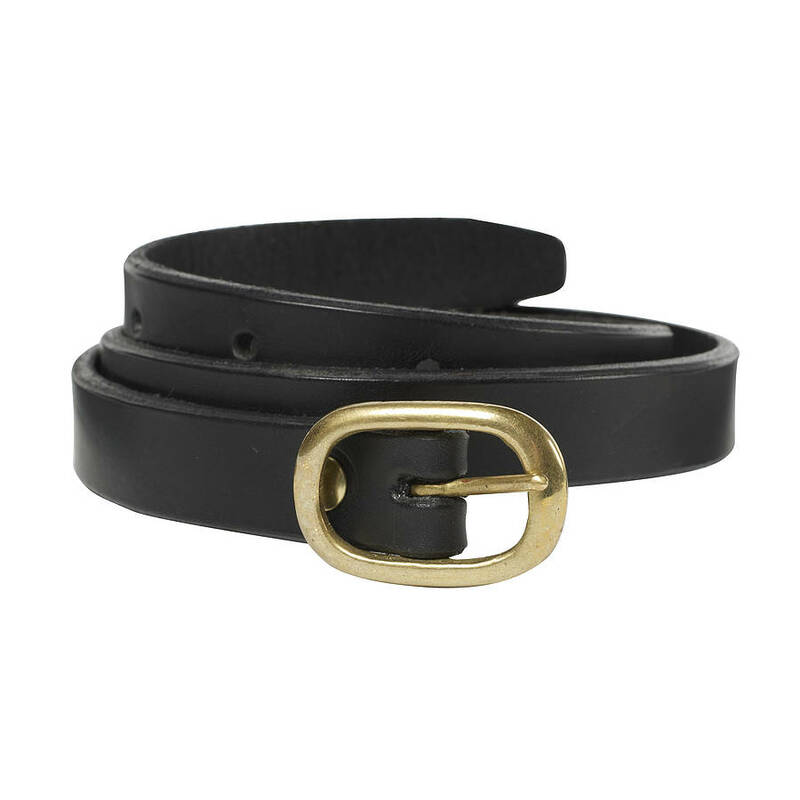 These simple and stylish black leather skinny belts are made from Italian vegetable tanned leather. 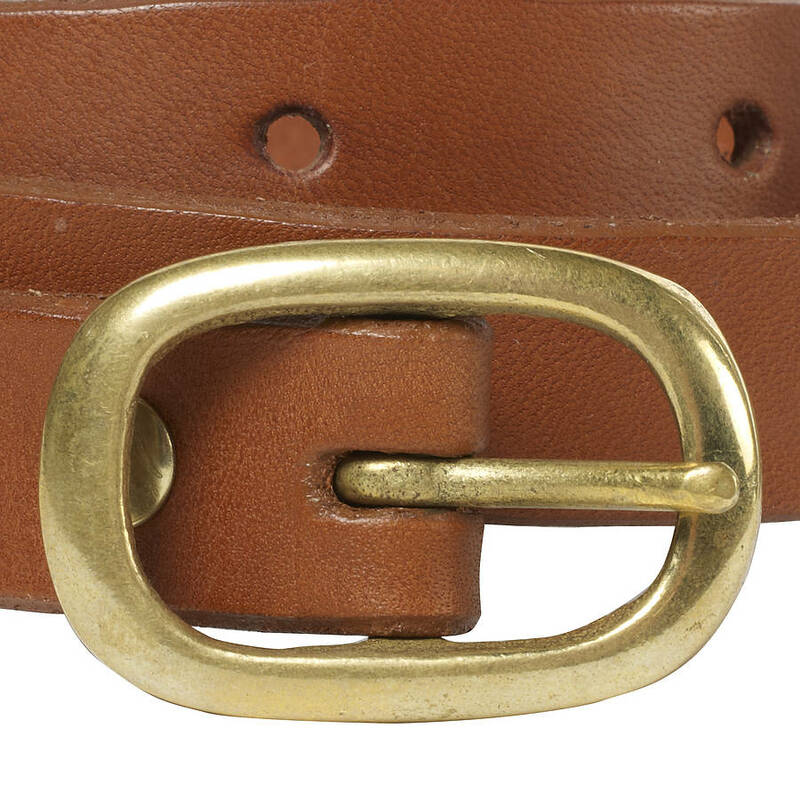 The belts are handmade in our London studio. 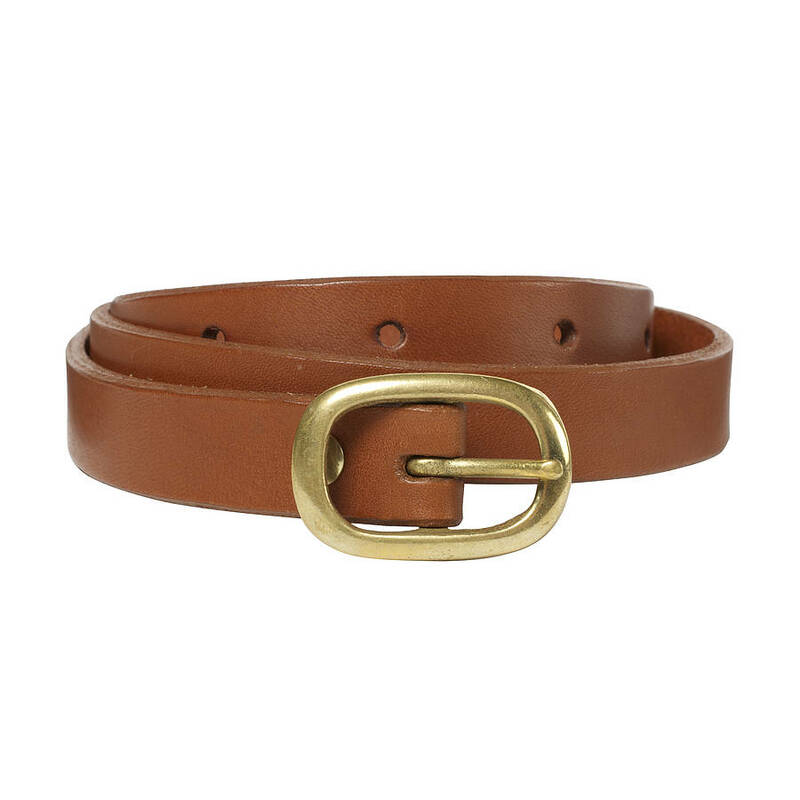 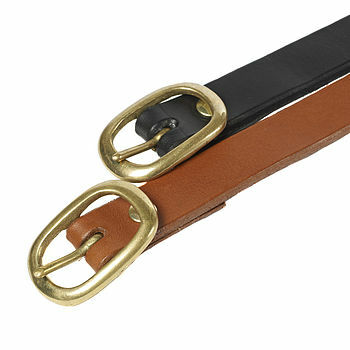 Available in black, dark brown, tan and red leather with a solid brass buckle. The belts shown are in black leather and tan leather. 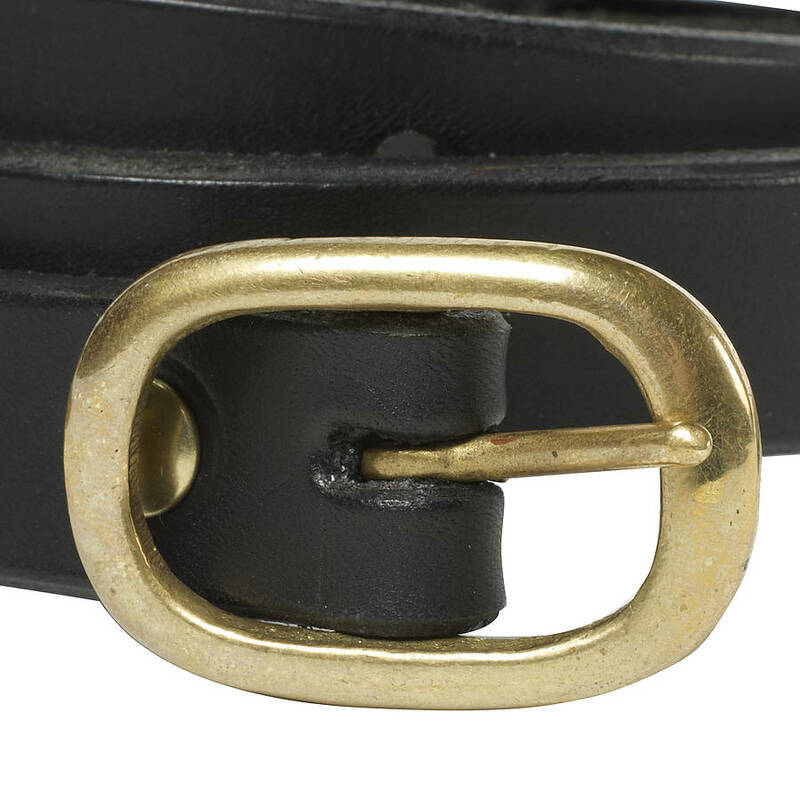 The belt comes in several lengths 71cm (28"), 76cm (30"), 81cm (32"), 86cm (34") or 91cm (36").